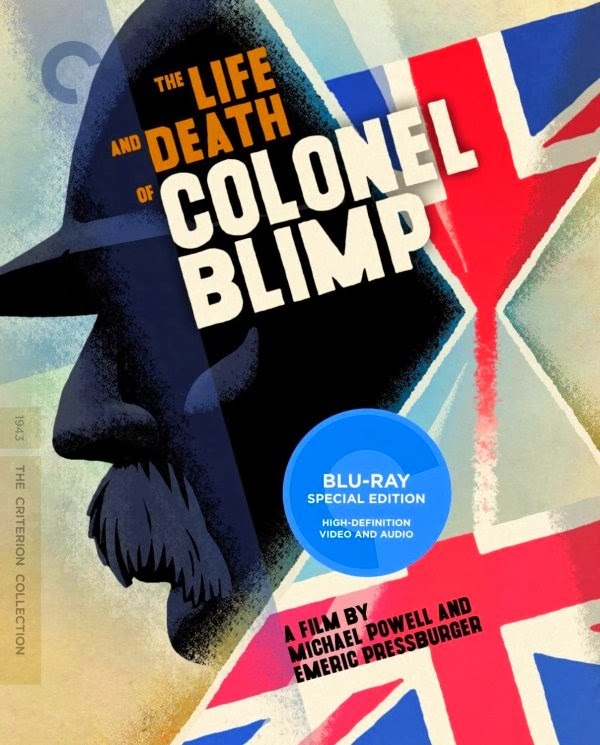 I doubt there's any film made by the duo of Powell & Pressburger that's not at the least very interesting, and Blimp stands among the top of their varied and illustrious filmography. The film is about the old world transitioning into an uneasy new world. The old is represented by Col Blimp (Roger Livesey, marvelous performance) who personifies a Boy Scout fantasy of a soldier that believes in chivalry and fair play on the battleground. Following his career from an honored young officer of the Boer War through the First World War and culminating at the onset of the Second, the film shows how the world around Blimp changes irretrievably from his gentleman's cricket game approach to conflict, to a more sordid "the end justifies the means" approach. While showing the lead character with warmth and admiration (humanizing him mainly through his continued adoration of his first love - played by Deborah Kerr who also plays two other characters in Blimp's life that resemble her), the film also acknowledges that he is a relic in this changing time. It's a touching richly-textured film, if you hold a torch for the old-school values that Blimp stands for. Rarely have 163 min gone by so breezily, with every moment given to economical exposition or solid character development. Many major events of Blimp's life take place offscreen with the film focusing more on the effects of those events on his life. Like many other P&P films, this one is also marvelously designed and executed with panache. The Technicolor photography (Georges Perinal, with Geoffrey Unsworth and Jack Cardiff as camera operators) is breath-taking, and the sentimental music score genuinely moving in conjunction with the visuals. Criterion's blu-ray gives a wonderful presentation of the film. Based on a restoration conducted by Martin Scorsese's Film Foundation, the image here looks even better than on their other P&P technicolor film Black Narcissus. Apart from scanning of the negatives (which for technicolor means 3 sets of negatives), the restoration has been carried out almost entirely in the digital realm, and the results are astonishing - there is warmth and beauty here. While our eyes are so accustomed to seeing grain in movies that it would still be nice to shoot on film, it is my personal belief that screen size and resolution apart, a good digital screening would have little significant difference from a good 35mm print, and any moaning about this is just *blind* prejudice. The mono sound is clear and rich taking into account the limitations of the period. There's a load of supplements, of which I have seen only the rather nice intro by Scorsese in which he talks about the film and how it influenced crucial scenes in Raging Bull.